Above Sky Bar is a trendy and chic bar on the rooftop of the Liberty Central Citypoint Saigon Hotel. The interior is stylish and, from the 19th floor, you have a nice view of the city centre skyline. 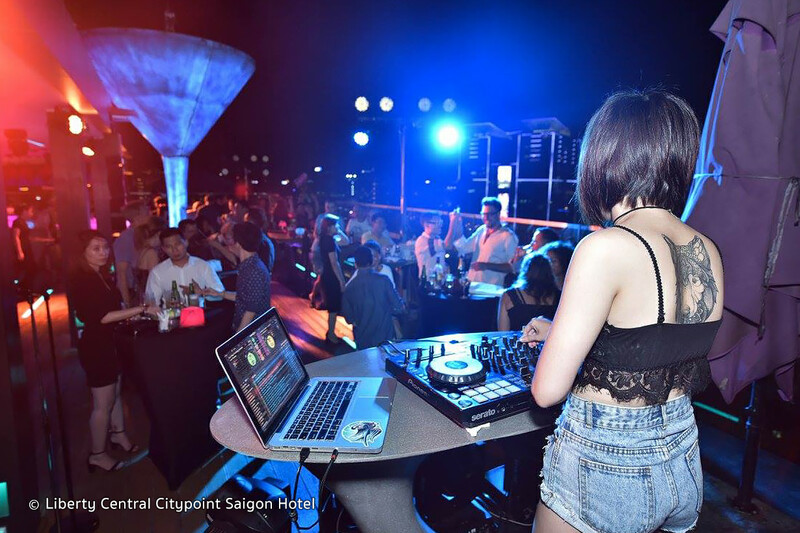 You can relax on their lounge futons and corner couches, or soak in the view from your standing table, enjoying some diverse, modern music, played by a DJ. 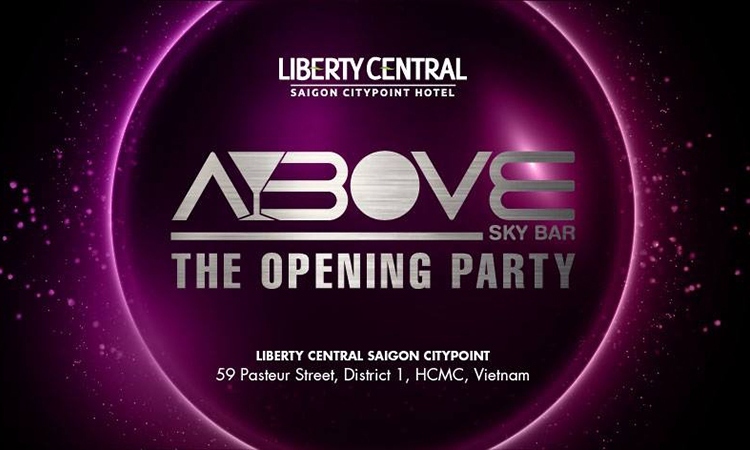 One of the unique selling points of the Above Sky Bar is their terrace with a swimming pool. Here you can cool down while having a refreshing drink or snack from their canapé menu and enjoy the view and music. A nice touch are their sun-lounge beds, with a small table, that are set inside the pool so you can have your legs in the water while sipping on their Pho signature cocktail (VND 150.000 or US$ 7). There is a daily happy hour from 14:00 till 17:00, during which you will get one cocktail, draught beer or spirit for free when you buy one. You also have the opportunity to watch a movie in one of their premium cinemas on the first floor. Enjoy the latest movies from a luxurious arm chair, in a cosy and private ambiance.